The Sandcliff01263 512888work01263 512888fax Guest HouseLocated on the seafront overlooking the Clifftop gardens & Cromer Pier. Family owned & run The Sandcliff is within easy walking distance of the town centre, local bus services & railway station. A warm friendly welcome - Tasty home cooking - Comfortable well furnished rooms. A home from home atmosphere and great year round value. The Sandcliff is an ideal base for touring the Norfolk Coast, Norwich and The Broads. 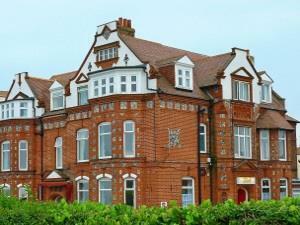 Located on the seafront overlooking the Clifftop gardens & Cromer Pier. Family owned & run The Sandcliff is within easy walking distance of the town centre, local bus services & railway station. We are on the coast road that runs from Cromer to Sheringham, just 5 minutes from Cromer town centre including bus and train stations.